BlackBerry – the name is a familiar one for many people, but it doesn’t have the same degree of notoriety it garnered around a decade ago. Before the iPhone and Android invasion, Research In Motion was thriving in the face of competition throughout the mid 2000s from Microsoft’s Windows Mobile platform and Palm’s OS. Arguably the most pivotal year in RIM’s history, 2008 saw the release of one of its all-time greatest smartphones – the BlackBerry Bold 9000. 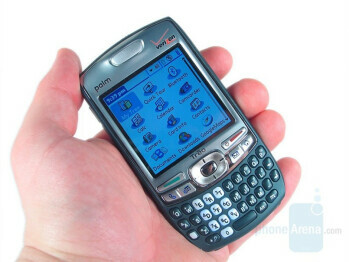 Fresh off the success of the Pearl 8100 in 2006 and subsequently the Curve 8300 in 2007, the company decided to introduce a brand-new line into the fold by 2008. The end result was none other than the amazing Bold 9000, which is touted by many to feature one of the best physical keyboards of all time! Before we get into that, there are several reasons why the Bold 9000 is regarded to be one of the company’s greatest devices ever imagined and conceived, while also remaining a champion in smartphone history! For starters, the Bold 9000 was a meticulously designed phone that exuded a premium feel – something that wasn’t always associated with smartphones during the early and mid-2000s. 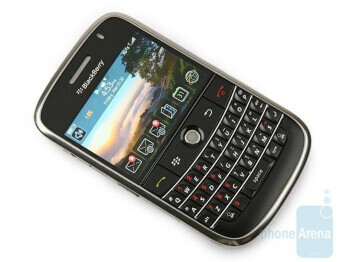 Compared to its brethren, it established a new design benchmark for all other BlackBerry smartphones after it. Ditching the predominantly plastic construction of its predecessors, the Bold 9000 was instead endowed with a faux-leather rear casing and silver accents, which all resulted in a believably premium looking and feeling smartphone! 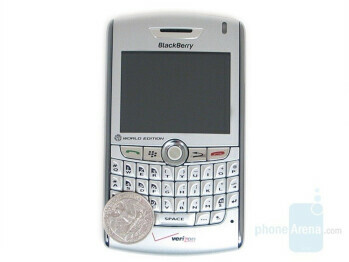 By comparison, it was a dramatic change for a BlackBerry, seeing that previous offerings in RIM’s camp were rather generic looking. They all exuded that cold business-like façade with their plastic bodies, like the BlackBerry 8800 that preceded it. 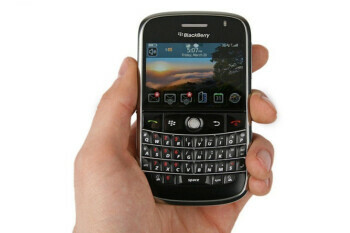 The level of sophistication with the Bold 9000’s design helped to usher in a new era for the company, as many following BlackBerry smartphones employed this new design language. Smartphones like the HTC TyTN II (L) and the Palm Treo 755p (R) featured designs that were all too typical for the mid-2000s. They were largely bulky looking and constructed from plastic. 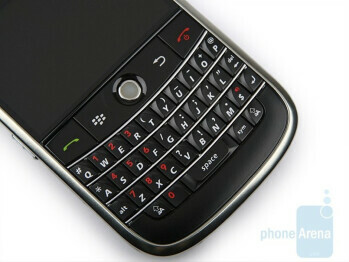 More importantly, the Bold 9000 helped to challenge many of its rivals to craft stylish looking smartphones of their own. If you look at the vast majority of smartphones that were around prior to it, like some of the QWERTY landscape Windows Mobile devices at the time, they looked antiquated with their cheap plastic bodies and bulky size! Yes, the original iPhone may be credited for redefining the standard for all smartphones, but the Bold 9000’s design was a refreshing change that helped to attract a wider demographic. It was still first and foremost targeted to business professionals; however, the stylish design of the Bold 9000 gave it a more mainstream appeal. For a smartphone at the time, it was beyond gorgeous, which is probably why its design has aged nicely! Between the BlackBerry 8830 (pictured left) and Bold 9000 (right), we can see how RIM went after a more sophisticated design – making it more modern looking and differentiating it from anything else around at the time. Secondly, there was the keyboard which, even to this day, is acclaimed for being one of the best and most versatile. Considering that it employed a portrait layout, users ate up the distinctive feel of each key – while the tactile response with each press ensured they were hitting the correct thing. 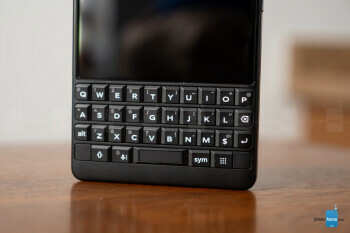 Seriously, it was an evolution over previous BlackBerry keyboards. If we’re to compare its keyboard to the one found with the BlackBerry 8800 before it, the Bold 9000’s layout was significantly more spacious, which helped to keep a user’s rate constant without many typos in the process. Unlike today, smartphones were the minority back in 2008. Even though there were smartphones that featured landscape style QWERTY keyboards, they were often bulky and didn’t offer the finesse that the Bold 9000’s keyboard brought to the table. Moreover, touchscreen technology wasn’t fully matured, seeing that the vast majority still employed resistive technology. 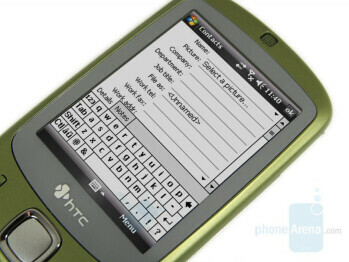 Email and instant messaging were also becoming quite popular among smartphone users at the time, so the Bold 9000’s keyboard was perfect in the way that they could quickly and easily type up replies and other messages without laboring like they would with a wider keyboard layout. What’s even more amazing is that this particular keyboard style and layout is still widely utilized to some degree with many modern BlackBerry smartphones. The KEYONE and KEY2 feature something very similar with their sculpted keys, which is a testament to say the least when you consider that the company introduced the Bold 9000 back in 2008! 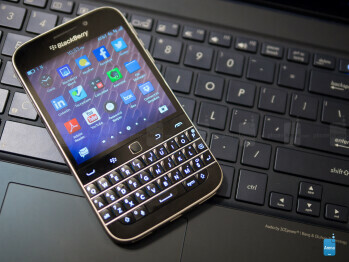 Seriously, it’s a keyboard that’s beloved by diehard BlackBerry users. And when it comes to portrait style keyboards, this one would probably be on the all-time best list for many people! 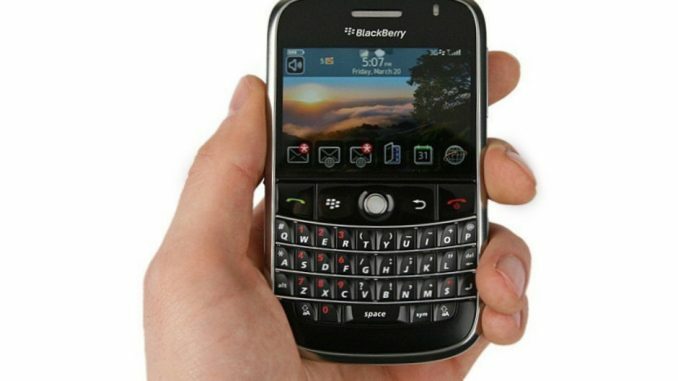 The Bold 9000 made it simple to type with its new layout, which was so popular amongst users and critics that its general layout and style were implemented in subsequent and more recent devices, like the BlackBerry Classic and even the KEY2. Not only was the Bold 9000 mainly targeted at business professionals, due to its legendary focus on productivity, but it managed to achieve broader exposure among consumers thanks to its rich multimedia experience! Prior to its release, people didn’t use BlackBerry smartphones for “fun.” Instead, a BlackBerry was largely seen by the masses as the typical business phone – one that’s all work driven. That’s the reputation that accompanied Research In Motion for a long time. Well, that’s until the Bold 9000’s arrival, of course. 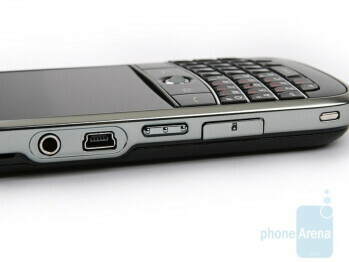 A full-sized headphone jack accompanied the Bold 9000. 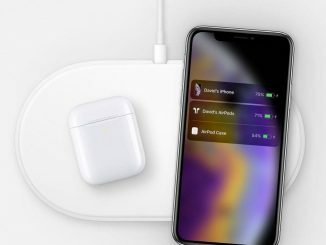 It may seem insignificant now, but when the majority of smartphones back then still featured 2.5mm jacks, its convenience allowed users to simply pop in their headphones without the need of an adapter. 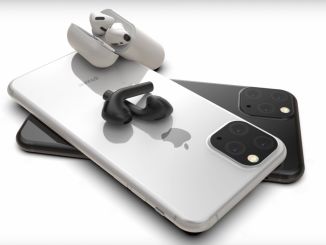 That may be a bit tough to imagine, but its high-resolution screen, despite its diminutive size over other smartphones at the time, brought videos to life with rich detail. 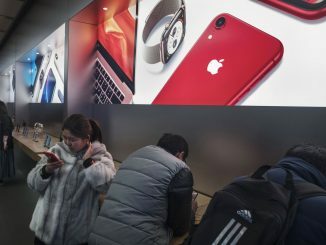 True, it was smaller in size than the displays that accompanied all-touchscreen phones at the time, but it was nonetheless a new beginning for the company. 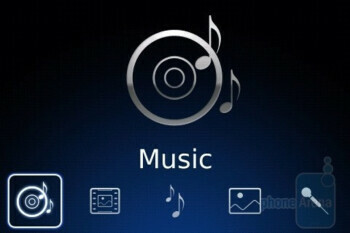 There was also the updated music player, which accompanied the release of BlackBerry OS 4.6. The music player matched the interface’s updated looks, but sound coming from the Bold 9000’s speakers was high-quality in tone. And yes, there was even a 3.5mm headphone jack for the convenience of popping in your favorite pair of headphones. These multimedia functions weren’t really new, but the fact that they were available helped to broaden its appeal. No longer were BlackBerry smartphones held to the reputation of being only geared towards business professionals, mainly because the Bold 9000 smashed that barrier – making it hip and fun for the average consumer to use. We may take for granted today’s phones that can play 4K HDR videos on their ginormous screens, but smartphones back then lacked this kind of fidelity. Many of them were primarily focused on productivity, so for a BlackBerry to focus and emphasize its efforts on multimedia was a huge redirection! 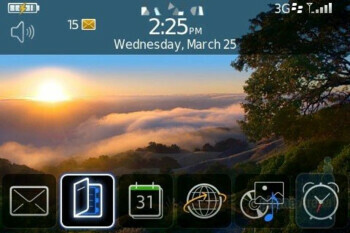 With BlackBerry OS 4.6 on the Bold 9000, there was more emphasis on the multimedia aspects of the phone that wasn’t seen before in a BlackBerry. On top of all the other great things established by the Bold 9000, the phone’s overall performance was also consistently snappy, which made navigating around the interface a breeze! When it was released, the Bold 9000 was packing the fastest processor in a BlackBerry – making its performance extremely snappy. 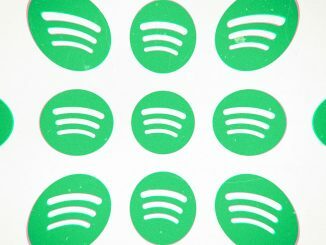 Again, being responsive is a trait that’s typical from today’s smartphones, something that we may take for granted today, but back then, there were still few phones that exuded fluid responses. In contrast, Windows Mobile smartphones were riddled with long loading times, slower responses, and lack the general finesse that the Bold 9000 brought to the table with its performance! Rounding out its impressive highlights, the Bold 9000 was also notable for packing tri-band HSDPA global 3G support, since most other BlackBerry smartphones were known to feature slower EDGE data speeds. That was particularly notable because it was a global trotter of sorts, by being compatible with various cellular networks around the world. Typically, phones back then didn’t offer the necessary radios to be compatible with other networks, but the Bold 9000 proved its versatility in this area. Best of all, those 3G speeds helped with the downloads and uploads! The switch to 3G from 2G is akin to 4G LTE’s rise, so you can imagine how exuberant people were with 3G speeds coming from 2G back then. It’s hard to believe it now, but the Bold 9000 definitely brought a sense of optimism in the face of the iPhone’s onslaught. For what it’s worth, it’s astounding that the Bold 9000 somehow managed to stay relevant – and that’s especially impressive given that it didn’t feature a touchscreen. Today’s BlackBerry is a totally different beast, having ditched the old BlackBerry OS of yesterday and openly adopting Android. You could say that a lot of the company’s history can be traced back to the Bold 9000’s successful run, proving that it could still remain relevant in the face of newer threats. Do you remember the BlackBerry Bold 9000? If so, what were some of your favorite memories about it? Share them with us in the comments section below, or in our video above as well! Either way, we’re toasting to the Bold 9000’s legendary run.